Niamhue Robins created vegetable and flower gardens in the refugee camps in Calais, giving smiles to many. She wants to learn from Rosemary Morrow and go back to apply permaculture design. The 'Six Thousand Flowers' project started from a feeling that I just needed to do something to help with the refugee crisis that has been unfolding across Europe. When speaking to an old friend of mine who volunteered full time at the Jungle refugee camp in Calais for many months, I found out that they were struggling to get a gardening project off the ground, as those who had tried to start one up had been called away to other tasks; everybody volunteering at the camp was already fully stretched and creating gardens had been put aside whilst prioritising primary needs such as food and shelter. A group of five of us who felt equally passionate - two of my close friends, my partner, my brother and I - decided that we would go down to help in whatever way we could. We started by looking into how we could be most useful. Out of the 6000 refugees in the camp at that time, 600 of those were children, of which 75% were unaccompanied minors. They had a double-decker bus that had been converted into a makeshift school and women and childrens centre, but aside from that there were no spaces to play, or to find any beauty in the contaminated wasteland that the Jungle was built upon. Tensions in the camp were understandably very high, with so many desperate people travelling from such traumatising circumstances, and with a great loss of self respect, dignity, hope and joy. We didn't know what we were going to find when we arrived in the Jungle, so we tried to be sure to keep a very open mind and to be adaptable to whatever came our way and how we could be of most use when we arrived - but our vision was to create gardens and a play space, and to focus our energy on the childrens' area first and foremost. We filled two vans to the roof with donations that we collected from our local community, mainly timber, compost and plants - hundreds of seedlings of all kinds, it was just beautiful. And then we filled whatever space that was left with clothing, food and needed supplies. When we arrived at the camp we were helped and supported by several incredible long term volunteers. Our 'Jungle Guides' understood the workings of the camp, and how it had evolved into a network of communities and areas, and introduced us to community elders and camp residents that we could talk through ideas with. This 'way in' was infinitely helpful for us. One major point to consider was that with many different cultures and religions living so closely alongside each other we had to be really careful not to favour one community over another, or it could be a cause of conflict. So we visited every area - the Afghans, the Sudanis, the Eritreans, the Syrians and the Egyptians, and spoke with the local residents who were thrilled at the idea of us building raised beds in each of their communal areas. We focused our first few days on the childrens' area, as this was used by all nationalities. The local police had banned any building materials going into the camp, supposedly to try and stop it increasing in size (In reality all this meant was that the new refugees that were arriving were living in very poor conditions in tents). This was also terrible news for us, as my partner had already built a fantastic round-wood climbing frame, which we had brought in the hope of installing in the camp. We managed to smuggle half of the frame into the camp on a firewood truck which became a large tripod tyre swing outside the childrens' bus. We built three colourful raised beds and worked with the children to fill them with flowers and vegetables, and included a self-watering play system that channelled water over a rainbow-coloured rotating bicycle wheel, through a series of pipes into the beds below. We painted over angry graffiti with an ocean wave mural, and decorated the fences around the space with weaving, ribbons, and tin cans filled with flowers. After we left we were sent videos of the children learning about caterpillar life cycles and taking such great care and ownership of their gardens, it was just beautiful. We focused our other raised beds on centres of the different neighbourhoods, such as mosques, community centres and restaurants. We quickly came to realise that people were just so keen on the flowers. We had started by filling the beds with food plants, but as nobody thought they would be in the camp for very long it was the instant joy from the colour and beauty that they appreciated most. We also found that when we returned to some of the beds the next day some of the flowers had gone, only to be found again later replanted next to private tents. We responded to this by potting up hundreds of flowers into recycled tin cans and bread crates, which we painted in the volunteer camp in the evenings. These became so popular that we had to start driving into the camp early in the morning before people were awake to do renegade drop offs, to avoid crowds of people swarming our flower-filled vans. I had completely underestimated how much giving flowers to somebody could make them feel seen, and cared for. One camp resident put it into the most beautiful words, when he referred to us as the 'happiness bringers'. Back in the volunteer camp, several miles away, where donations are sorted and food for the refugees is prepared, we revitalised the greenhouse and set up a raised bed space, where seeds and seedlings could be started off to be brought into the camp after we left. This doubled as a nourishing social space for the volunteers, who were also often traumatised from their experiences within the camp. A nice cycle was created - cans were collected from the kitchens, volunteers could paint and relax, harvest flowers from the beds and fill up a can, and then take it into the camp to a Jungle resident the next day. Looking at all of this from a permaculture perspective, our project was limited on time and also our knowledge and experience of the world we were entering. We had a very clear goal of simply trying to provide joy through gardens and a play space to the residents of the camp. But over the time I spent there, my permaculture brain started to work on overdrive. People were cooking and keeping warm over open fires in plastic tarp shelters, with no ventilation, and often burning plastics through a lack of firewood. With more time, or resources I would have liked to do rocket stove workshops with the elders of each community. We met a 17 year old boy from Afghanistan who had been planting onions in the soil behind his tent. Not only is the soil in the Jungle contaminated with asbestos through its use as an industrial area, but his garden was right beside the space where everybody showered, and grey water was constantly flooding his garden and stagnating. It was so wet that he had to walk on pallets through the swamp towards his tent, and we pulled an onion out of the ground to find it black, stinking, and rotten. The smell of the soil was unbearable. Together we dug and relaid his garden with a lining, organic compost, plants and a drainage ditch, but it was not a lasting solution, it was only the best we could do at the time. 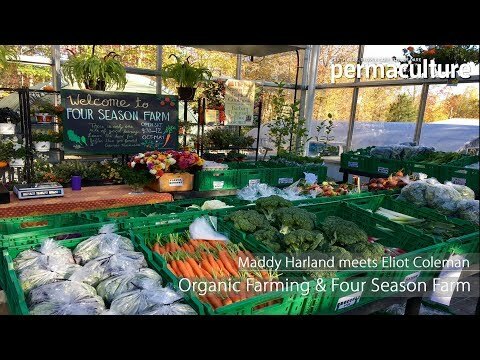 I believe that permaculture design offers real solutions to these types of challenges, not only in practical ways but in social ways too, helping to re-build communities (even for 'temporary' communities like refugee camps, alongside recovery and integration in the long term) and also for self empowerment. How about easing the loss of hope of lack of dignity for refugees by sharing education on self reliance such as food growing and appropriate technologies? Rosemary Morrow, a permaculture teacher from Australia, has worked extensively in crisis zones using permaculture design, both to re-build the social structures within communities and through permaculture education. She is about to run a training course which will offer wisdom on how to deal with the specific challenges of working in this area, such as maintaining cultural awareness, and even how to apply for funding to get projects off the ground. It is excellent idea for planting and happy with your that kind of blogging.. thanks for it. Can greener, locally-sourced school dinners enhance learning skills? An essential guide for every community considering setting up their own renewable energy systems. A fun and beautifully presented guide to growing your own fruit and vegetables in a small space. Whether you have a balcony, patio, windowsill or small garden, you can still grow! A must have! The Kelly Kettle & cook set are easy to carry & quick to boil. The perfect accessory for camping, caravaning, Scouts and anyone adventuring outdoors.